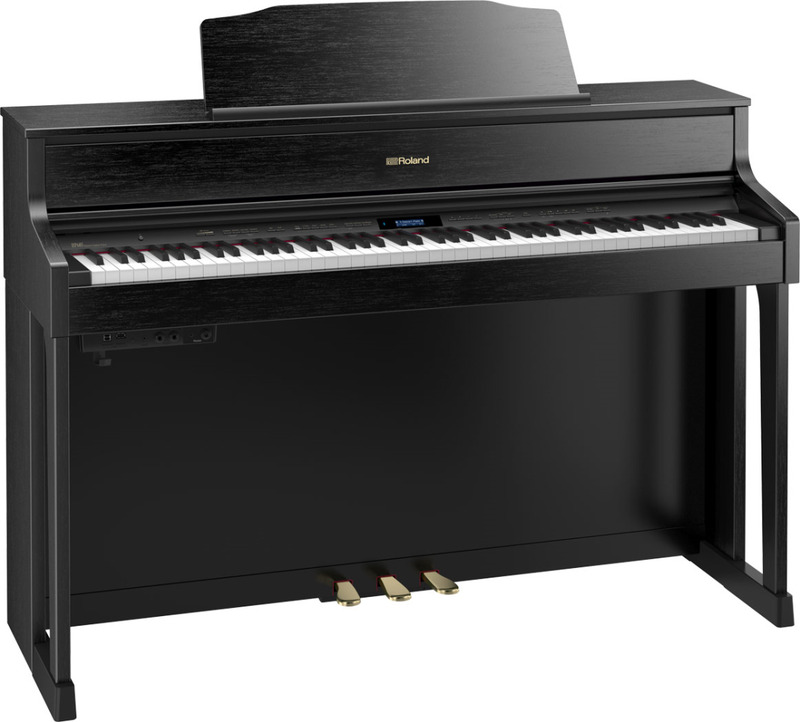 The Roland HP605 piano brings a concert-class piano into the home by incorporating elements from the Roland flagship LX range into a smaller piano cabinet. The HP605 uses modelling technology to recreate acoustic piano sounds. The result of using modelling technology is an increased level of responsiveness and a rich sound with complex overtones that is not achievable from using static piano samples. In order to fully capitalise on the nuances created by the sound engine, the HP605 houses a unique six speaker system. This delivers sound positioning that would be expected from an acoustic piano, creating a more immersive experience for the player. PHA50 keybed that is used in the flagship models. The keys combine the natural touch of a wooden key, with the reliability and low maintenance of modern materials. Keyboard, sound engine and speaker system have been designed to work in harmony to create the most responsive feel possible. Using Bluetooth technology, the HP605 wirelessly connects to mobile phones and tablets. Once connected, music can be routed wirelessly through the piano’s speakers. This allows a pianist to play along with their favourite music or practise with online lessons via YouTube, or any other music app. By using the free Roland Piano Designer app, you are able to customise your piano sound or download pianos created by some of the world best piano technicians.